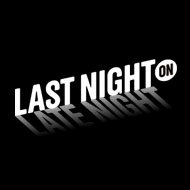 Last night on Late Night With Jimmy Fallon, six-time Emmy-nominated actor Steve Carell sheds light on unemployed life, and it’s saucy — tomato saucy. Plus: Crazy, Stupid, Love co-star Julianne Moore confesses to her love for KFC, and it’s not for the savoriest of reasons; Shaun White, who stars in Friends With Benefits, has cultivated a new mustache that has transformed him into a distinguished gentleman; and Adrian Grenier experiences a backhanded come-on at the gym. Watch our compilation to see what you missed.